My grandmother made a blackberry spice cake with a caramel cooked icing, lost my recipe, anyone out there who could help me? I don’t have a recipe for the exact cake you’re looking for. 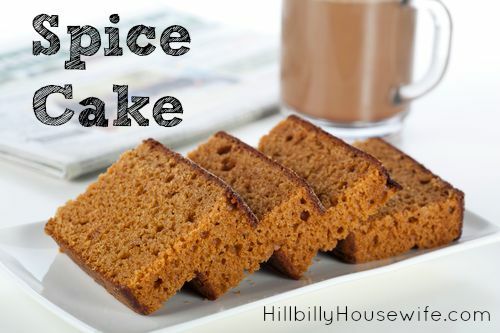 I do however have a great plain recipe for a spice cake that might work well as a base. Fold in blackberries at the end and top with the icing once it’s baked. Preheat your oven to 350F and grease a 9×13 inch pan. Get out a large bowl and pour in all dry ingredients (except the brown sugar). Whisk them together well. Mix the milk, eggs and vanilla extract in a small bowl. Cut the butter into small chunks and add them to the flour mixture. Use a fork or your electric mixer to incorporate it into the flour mixture. Add a little of the milk mixture at a time and beat until smooth. Add the sugar and stir just until it is combined. Pour batter into cake pan. Bake for 40 to 45 minutes or until a toothpick inserted in the cake comes out clean. Another good starting point would be this gingerbread cake. Reaching out to all HBHW readers. Do you have a recipe that’s has blackberries and/or caramel cooked icing? Please share in the comments below.